Summary: Kuvira brings her entire army to Zaofu; Bolin and Varrick begin to have second thoughts. Hmm. Felt a bit...clunky, to me. The stuff with Asami and Hiroshi was definitely appreciated for her character and arguably long overdue, but it felt a bit sudden and out of place. It wasn't really related to what was going on in the story. The fight in the mech suits felt like the clunkiest fight Legend of Korra's ever done. They felt slow and unwieldy; even the mecha-tanks of past seasons made for better fight scenes. Keep the main characters out of those suits for the rest of the season, please. It's interesting that Korra actively chose to try pursuing a peaceful solution first. Didn't seem to do much good, though. Kuvira's backstory felt overly expository. They haven't shown Suyin's close relationship with Kuvira, so they just have to tell us. I think this problem goes back to Book 3; Kuvira already had some minor appearances there, but they could have been done better to establish her relationship with Suyin. What an episode, things are starting to hit the fan. Part of me is thinking Bolin is might slow. You just figured it out now Kuvira is crazy? I could have told you that, and I thought Korra was slow in Book 2 figure out Unaloq was bad. I thought Verrick's film reminded me of horror movies. And poor Bolin being caught in the middle of a family diput, I understand how he feels. It is nice we get some insight on Su and Kuvira's history, it is nice that Korra is trying to talk some sense into Kuvira, might be to late, that could have worked three years ago. But Korra is trying to work something out, and now have history repeat itself, I think Korra is tired of conflict leading to more conflict. Toph's lesson has effected her. The mecha tank fight I don't know what to say, someone tell me why some of them were silver and the others were green, other than for us to know who was who. I don't know if Zhu Li's betrayl is legit or not, I could go either way on that, either way I am sure she and Verrick will works things out in the end. Not much progress in the battle, but perhaps it will be settled next episode. Interesting to see if Korra passive approach will last or she go back to the old Korra. 10 / 10 I liked it. Well, she's gonna have to go back to the old Korra eventually. Kuvira isn't going to back down, and Su's attack surely won't pan out. Poor Korra, though. Finally decides to try diplomacy and just winds up with people that are already beyond it. Interesting development with the vines. Vaatu beams in a can. Dammit, this is annoying... why don't they just release 2 episodes a week? Now they left us with a cliffhanger for a whole week... again... I can't wait to see the resolution to this, and I can't wait to see Korra finally get in real action. Really would rather have Varrick stay evil, but if he regrets his decisions and learns to respect Zhu Li, I'm fine. There is a Zuko in everyone. 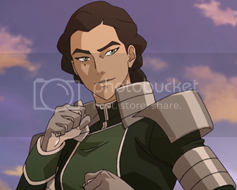 An I am getting a huge Unalaq vibe to Kuvira. Su would try to go assasinate Kuvira, just like the rebels tried with Unalaq and Korra would save Kuvira not know she is evil. And wow Baatar Jr is aggressive. FINALLY!!!! Asami/Hiroshi development. Now Hiroshi just needs to die at the end of the series in an act of sacrifice to save his daughter then I will be content with that plotline. BUT GODDAMN IT!!!! I was hoping Bolin would go bad and do morally reprehensible things for Kuvira. My only hope now is that he is indoctrinated at the re education facility, otherwise the whole "Bolin joining Kuvira" idea was just a waste. I'm shocked. Shocked and horrified that Kuvira *gasp* threatens villages and people who don't cooperate! Granted, I give credit to the reveal NOT being as overt as Uncle Scar I mean, Uncle Unalaq. There was just enough grey to Kuvira that when it gets to the point Bolin and Varrick conclude she's crazy, it feels more natural. 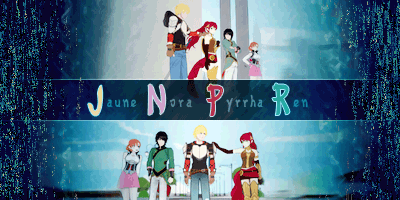 I kinda regret watching the ep since it feels like this is more part 1 of a 2 parter but still enjoyable. Also chiming in on loving Asami and Hiroshi's scene. Expecting him and Varrick to end up needing to team up to counter Kuvira's tech. Also, Zhu Li :c. Part of me hopes it's fake but another part wants to see how far she goes. I hope Zhu Li's not faking. He has every right to be angry on her abuser. I hope she turns good though, and Varrick to appreciate her. Didn't Bryke say one of the main themes of book 4 is forgiveness? *Stares at Varrick and Zhu Li. It was an ok episode but then again I only saw the 2nd half of it. Thing is, I felt the episode would have made more sense as a 2 parter. Just cut off at an awkward place. Great episode, but like people have already said, it should probably have been a two-parter. Korra trying diplomacy, Varrick being the comic relief Bolin never managed to be once more, Asami reuniting with her father and some great background and tense atmosphere to the whole conflict made it an overall enjoyable episode. We still need more information regarding Baatar Junior though. There are, however, several things I didn't enjoy: Kuvira being depicted as crazy when she had the potential to be a morally grey character is just a waste. I understand that she needs to really believe in what she's doing to pose as any sort of credible villain, but they could have done that with a lot more finesse; then again, her conversation with Korra revealed the more manipulative side as well as highlighted the fact that she has actually done a lot of good, so I suppose we can't call her Unalaq/Ozai 2.0 just yet. As someone pointed out earlier, I feel like Bolin, while a good guy, should have during these two, three years with Kuvira grown to be more loyal to her, and it'd make more of an impact if he actually did something genuinely bad and THEN deserted; hopefully he'll actually be sent away and come back slightly brainwashed, or else his subplot won't really lead...anywhere. Two final things: I really, really like Suyin; she's a humanist badass who's not afraid to do what's necessary, and her voice actress does such an amazing job. And Zhu Li is faking it; her entire character is that she's stoic, hard-working and ludicrously loyal to Varrick for whatever reason (maybe love?). If her betrayal was genuine, she'd have acted sooner and not risked being thrown into a re-education camp. If she IS sincere, then it's just perplexing, although I will admit it'd be interesting to see just what she'd do, but again, that won't happen. i reckon zhu li is faking-it was so suden,i bet next ep su will get captured like she was in the trailer. This one episode just raised the intensity of this season by a lot. I'm happy with where this is going. Also Zhu Li is defs faking it. After those loving looks throughout the whole episode, she's trying to protect Varrick because she loves him <3 I now ship those two so hard. EFFING 10 OUT OF 10!!! Kuvira is the best character in the whole avatar universe, I really don't care what anyone else says. They way she threatened Varrick by saying she would throw him off the train if he didn't help make the spirit weapon, made my jar drop. It also seems like Kuvira is really bad in this episode. She basically turns the states into slaves once they leave. Zhu Li is clearly faking it and I am abit surprised that Kuvira couldn't recognise that considering how smart she is. Bolin was being very gullible and was far too naive. We got more Asami, which was good! Also I told you guys that we wouldn't get the Korra vs Kuvira fight in this episode, I told you all they would troll us and put the fight in episode 406 lol. I have no idea why they didn't make it a two-parter, this episode totally feels like it should have been a two-parter especially with the way it ended. I hate that we have to wait until next week now . The only complaint I have about the episode was that some scenes didn't seem to flow well and that it should have been a two-parter, I don't know why it wasn't a two-parter. Otherwise great episode. Kuvira is the best lol. I think Kuvira just really likes having her ego stroked. She was practically purring when Zhu Li said she was the world's greatest mind. She became blind to the obvious bull that was being thrown her way. And I liked that. Silly Kuvira. I think that it is kind of a waste that Kuvira isn't a morally grey character, but they still didn't make me feel that much for Su who turned down the offer to try to stabilize the Earth Kingdom. Conquerors? All she had to do was spread technology and stop the bandits who kept robbing and possibly killing the innocent citizens. By not doing anything it still sent a bad message and allowed for Kuvira to impose extremely strict rules on the country. I highly doubt Su would create re-education centers or slave labor. I still can't say that Su did the right thing. She had an opportunity, but didn't take it. Baatar Jr. definitely needs to get over the living in his parents shadow. So they're well renowned, they're still loving and caring, plus always put their family first. It is cool that Su trusts the twins implicitly to take them on a dangerous mission. It'll be interesting to see how this all goes down. I loved that they gave Asami the B plot, she definitely needed it. I can't blame her for refusing Hiroshi for all of those years and not reading his letters. I did like the end bit and dang I think we need to add Hiroshi to the who aged best/worst thread. I think he's definitely the latter. Varrick was awesome as always and it is interesting to see that he is grown a conscience during this whole thing. I also think that Zhu-Li is still loyal to him instead of Kuvira. It just doesn't seem like her to suddenly abandon Varrick, but she would have a good reason to have done so. Am I the only one that found it a bit annoying that Korra actually took Kuvira's advice. She had the right mindset the first half of the episode only to be manipulated by Kuriva's clearly flawed logic to take Zafou. Seriously this naive easy to manipulate Korra is what caused half the problems in Books 1 to 3. Nice callback to Book 2 with Vaatu's purple energy beams. If Kuivira manages to harness that energy and weaponise it, she will be a force to be reckoned with, not that she isn't already one. However, she is clearly messing around with forces she doesn't understand and it will eventually go bad. It kind of reminds me of SHEILD trying to harness the energy from the tesseract to make weapons. Those mechas are serious business, far more advanced than Haroshi's. I feel like skilled pilot could give any bender a run for their money in it. Also, I think that they would be super effective against Waterbenders and Firebenders. I hope this "Korra trying to solve things through peace" doesn't last long...Aside from that, good episode; wish they'd made it a 2 part episode, as well. Korra most likely doesn't know about the re-education camps or the slave labor. If Su didn't tell her that, I could see why she listened to Kuvira. She sees Kuvira as doing what she should've done as well as the woman who saved her father. I think waterbenders would probably be effective against the mechas, provided they have enough water. Firebenders would be at a disadvantage. These mechas seem to be a resistant to lightning. Airbenders would most likely be at a disadvantage as well unless they can do what Tenzin did to one of Hiroshi's mecha tanks and throw it. I think waterbenders would probably be effective against the mechas, provided they have enough water. Firebenders would be at a disadvantage. These mechas seem to be a resistant to lightning. I think earth benders could stand a chance provided that they skilled enough. Those mechs seem to be susceptible to blunt force. How well do you think they would perform against air benders.